About Alliance Francaise : Since a knowledge of the language is instrumental in understanding French culture, the Alliance Française's primary focus is to teach French. But if it is a school for learning French, it also functions as a cultural center and social forum. 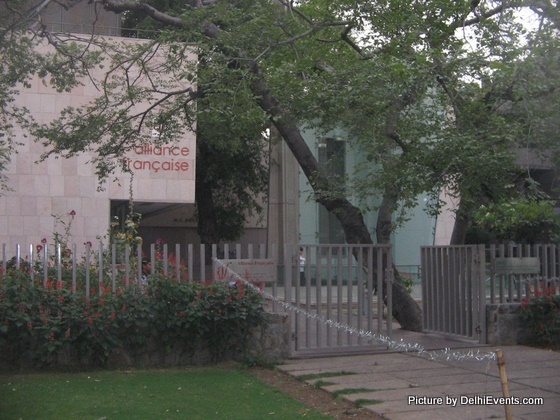 The Alliance Française de Delhi organises, with the support of the Délégation Générale de l'Alliance Française de Paris en Inde, the Embassy of France in New Delhi and the French Ministry of Foreign Affairs, prestigious cultural events which attract the best in the world of music, dance, theatre, science, etc. These events are open to our members as well as to the public. The friendship between France and India has led to many official cultural exchanges. The cultural events attract people from all parts of the French and Indian communities. The student body includes members of business, civic and educational communities as well as retirees and students from high school and college, which makes the exchange all the more rich. The events - art exhibits, lectures, film and theatre festivals - relative to the French or French-speaking world thus serve as a vehicle for cultural dialogue. I am a s/w professional. heyye.. i want to join AFD. can u please forward me the fees structure. i want to learn french language..
My name is R.G. Srinivas. I am currrently learning french through intensive course A12 11.30 to 1.30 P.M. My teacher is respected madame Ms. Guneet. I have missed to many classes. What happens ? From this Monday I am planning to resume attending classes. I have missed a lot . What happens? Will the AFD fail on attendance shortage even if I manage to pass the exam as there is time till May. I need to work hard. My bad luck that my mother is very ill and I had to take care of her. She has become very weak. She is 82 years old. In the mean time we alos sold our previous house and shifted to a new one. Lot of packing and unpacking and pujas etc. Should I talk to her before I resume class on monday on her mobile if a allowed. If allowed please email it to me . I don't want to feel embarassed on monday. My name is Bhuupnder singh dhankar .i am currently learning french through Swiss school 10:00-12:00 .My teacher is respected madame Ms Pinky .My basic going to go complete therefor i want to take admission to next level .i want to know how can i take admission in next level and how much rs (fee) i will have to given so this is my email id (bhupender859@gmail.com. Hello, i want to join this institute. can u send me the fees structure of diploma course in frech language as soon as possible. hi, my name is fortuna and i live in new delhi, i am a french teacher and i looking for job in one french organisation. please call me or send me a message if you can help me . Hey m priyanka n i hav cleared my orientation xam at alliance française de Delhi n hav obtained A2 level 2nd n 3rd batch..
Kindly guide me wid fees structure for both intensive n extensive method of learning..
Also tel me wats the last date of fee submission n whn r classes going to begin? My email id is priyanka.khanna1994@gmail.com.. Hello!! I am Bharat and I would like to start with my French classes . I want to learn french language. I work with Genact in night shifts for 5 days a week. So, could you please suggest me the appropriate batch for me to learn french along with all other relevant information like course structure, fee structure, etc. Hii sundeep this institute offers various courses for weekends too. You can opt for these couses by visiting the links on the institute's website. The links are made active when the batches are available. Generally the batch starts from September to december and another batch starts from February to august. Registeration is required for the same and allotment is made on the first come first serve basis. The fee structure changes but generally is around 22k ..